Surety Agent – What’s a Surety Bond For Jail? Surety bail bond agent is a bail agent who guarantees to the court that they will pay the full bail bond amount if a defendant fails to appear for their scheduled court appearances. 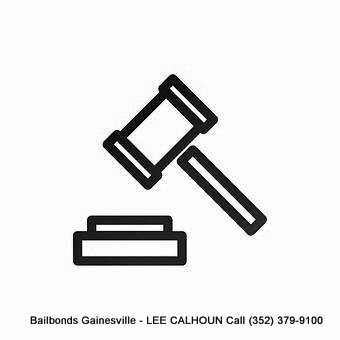 The bail agent’s guarantee is made through a surety insurance company or bond that financially backs the bail agent if they are unable to pay the court.The bail agency charges the defendant a commission (usually 10% of the total bail amount). By involving the family and friends of a defendant, as well as through the acceptance of collateral, the bail agent can be reasonably assured that the defendant released on a surety bond will show for their court appearances. Due to the nature of bail bonds and their default rate, many banks and insurance companies refuse to issue surety bonds. Surety bond issuers are specialists, and bondsmen should make every attempt to secure the release of defendants with a high probability of returning for trial. A surety bail bond is one of the most common routes defendants use to make bail. The “surety” is another party that acts on behalf of the defendant as a guarantee to ensure that the defendant appears in court for their hearing – in most cases, the “surety” is a bail bond company. If the defendant doesn’t appear in court, then you will incur court costs, which can range from $75 to $100. The defendant will also have an arrest warrant issued in their name, and they will have to pay the full bail amount, on top of the initial 15 percent down payment they made to the bail bonds service. In some cases, the court may also take into consideration your financial situation before determining a proper bail amount. A defense lawyer may also argue the excessive bail by proving to the court that your appearance in legal proceedings will be guaranteed, and that you are not a flight risk, citing your ties to the community and lack of or absence of a criminal record. In contrast, the prosecutor will argue either a high bail amount or remand, stating your repeat offenses and the danger you pose to the community. Bail bonds come in when you don’t have enough money for bail. After an arrest, a court will set the required guarantee that the defendant will show to his court appearances. This guaranteed amount is agreed and is referred to as the bail amount. Our underwriter, will issue the court a pre-approved bond guarantying the court the amount required. Once you call us, we will explain the process and the costs in either English or Spanish. Just wait for a few weeks to allow the court some time to issue a refund check to you. If the refund does not reach your home within this time, you can contact the court and find out whether there is any problem.